Fruity Casa Casino has had a major facelift and is looking fresh and fabulous with their latest re-launch. 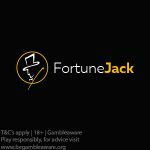 We’re proud to be in partnership with them and bring you a superb 10 No Deposit Bonus Spins on registration for new players. What’s more, you can also get your New Fruity Casa Welcome Bonus of 100% up to €/$100 + 20 Bonus Spins on your first deposit. Why do we love Fruity Casa Casino? 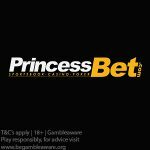 Fruity Casa is an established online NetEnt Casino which was established in 2014, and is part of the Caddell Group. Fruity Casa is a colourful, fruit-themed online casino which attracts players by using bold hues to brighten up anyone’s day. Players can enjoy a wide selection of games from top software providers in the casino gaming industry, such as: NetEnt, Microgaming, Quickspin, Thunderkick, ELK, Betsoft, NYX, NextGen Gaming, Leander Games, Amaya, Ezugi, 1x2Gaming, Blueprint Gaming, Aristocrat, Genesis Gaming, Games Warehouse, Lightning Box, Multicommerce Game Studio, 2 By 2 Gaming, and White Hat Gaming. Fruity Casa Casino is fully integrated on all platforms – so players can enjoy playing on-the-go, on their mobile devices (smartphones, tablets, laptops) or on their desktop computers. Accepted currencies at Fruity Casa: EUR, GBP, USD, AUD, CAD, NOK, SEK, and ZAR. Deposit methods at Fruity Casa: Neteller, Skrill, Maestro, Mastercard, Paysafecard, Visa, Giropay, Trustly, Sofortuberweisung, POLi, iDeal, dotpay, Paytrail, Sepa, Ochapay, and Bank Wire Transfer. New players residing in the ROW are eligible sign up for 10 No Deposit Bonus Spins on registration. Players will receive their 10 No Deposit Bonus Spins on NetEnt’s BerryBurst Slot. Additionally, you can also claim a shiny new welcome bonus of 100% up to €/$100 + 20 Bonus Spins. The minimum deposit is €/$10 to get your welcome bonus and bonus spins. Click on any of our special links or banners to claim this offer. Note: Deposits made with Neteller or Skrill do not qualify for the welcome offer. New players residing in the UK are also eligible to a special new welcome bonus of 100% up to £100 + 20 Bonus Spins. Click on any of our special UK links or banners to claim this offer. The New Fruity Casa Welcome Bonus is only available for new players that have not yet registered for a casino account at Fruity Casa. The wagering requirement for the Fruity Casa Welcome Bonus is 35x. No Deposit Bonus Spins winnings carry a 35x wagering requirement and is capped at €/$100. Any Bonus Spins winnings carry a 35x wagering requirement. 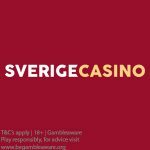 The maximum bet allowed while the welcome bonus is in play is €/$10. All deposit bonuses expire after 30 days. Posted in Fruity Casa and tagged Fruity Casa, July 2018 offers, new welcome offers. 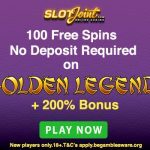 ← LuckyDino July 2018 Free Spins Campaign – Get some super-hot Free Spins at LuckyDino this July!